Most people are familiar with the Teddy Bear and dwarf hamster breeds without knowing it. 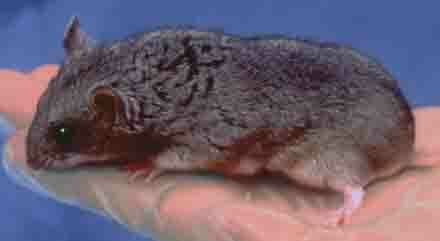 These small, furry rodents have been a common household ‘pocket pet’ for the last few decades in the United States. Most people don’t realize, however, that there are several species of hamsters that are used as pets. Other breeds are not kept as pets. 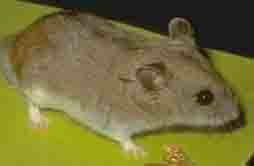 The hamster that is classically used as the pet hamster was first discovered in the 1930s in Syria. The Syrian hamster was the first to be used in a laboratory, and the first to be domesticated and kept as a pet. The Syrian hamster is also known as the ‘teddy bear’ hamster, the golden hamster, and the fancy hamster. It is the largest of the pet hamster species, at an average adult length of 6 inches long. It is a strictly solitary animal, and should absolutely never be housed with another hamster. Syrian hamsters who are housed together will fight brutally. Different breeds of the Syrian hamster also exist, such as the Angora hamster, which is known for the males of the breed having longer, thicker fur. The black bear hamster is another breed that is closely related to the Angora, differing in that the coat color is black and the temperament is thought to be more docile. Differences in the hamster species and breeds are primarily in size and coat type and color. The basic biology and behavior is consistent between the different types of hamsters, with a few exceptions. These hamsters are good for children, come in a variety of colors and do not mind being held. They are solitary and should be housed alone. When selecting one as a pet, see how the hamster reacts to being held in the store and is easy to pick up without running away in the cage. Hair length can be short or long. Syrian Hamsters usually sleep during the day and are up at night. The Syrian or Teddy Bear Hamster lifespan is 2 to 4 years. They grow to 2 to 4 inches in length. After the original discovery of the Syrian hamster, other species were discovered in other parts of Central Asia and the Middle East. 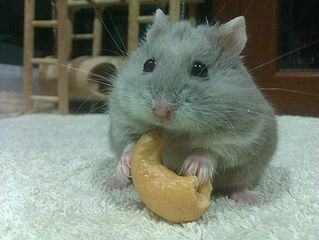 Campbell’s dwarf hamster, Roborovsky’s dwarf hamster, and the Chinese hamster are all considered ‘dwarf’ hamster species and are all common as pet hamsters. These species are not actually dwarfs, but are referred to as such because of their small size relative to the Syrian hamster. Campbell’s dwarf hamster is known for its smaller ears and the presence of a narrow dorsal stripe of dark fur down its back. The Roborovsky’s dwarf hamster, or ‘Robo’ hamster, is the smallest of the dwarf breeds. It has patches of white fur above both eyes, and does not have the dorsal stripe of dark fur found on other dwarf breeds. These Hamsters are not as good for young children since they are quick to move and are small. Because of this desire to run and also their natural instinct to burrow they are best kept in a large cage. They are fun to interact with in a cage and can be kept in pairs. If they start to fight with each other, they will need to be kept in separate cages since they can be territorial. These hamsters sleep during the day and look for food at night. Dwarf Hamsters have a gentle, inquisitive nature. Dwarf Hamsters are nocturnal, but are full of energy after the sun goes down. When carrying food in their cheek they can hold half their body weight. Click here for a free brochure on Dwarf Hamsters (PDF download). The main difference between the Syrian hamster and the dwarf breed is size. The Syrian hamster reaches an average adult size of 6 inches in length. The dwarf species only grow to, on average, 2-3 inches in length, making them half the size of the Syrian at best. The other major difference of note between the Syrian hamster and the dwarf breeds is that, while the Syrian hamster is a strictly solitary animal and should not be housed with others, the dwarf breeds are apparently more social and will often tolerate being housed with others. However, all hamsters should be monitored closely for aggressive behavior when housed together, especially when first introduced. The Chinese hamster is longer and thinner than the other hamster breeds, and is often said to look more like a mouse than a hamster. It also is the only hamster species that has a long prehensile tail. This hamster breed is not bred as a pet due to its aggressive solitary nature. They are often used in diabetes mellitus research since they have a naturally occurring form of the disease. The Chinese hamster weighs from 30 to 35g. The female is smaller than males. The European Hamster is much bigger than the Syrian Hamster and is not bred as a pet. This hamster is primarily used in cancer research. It is more commonly compared in size to a Guinea Pig. The European Hamster originates from the lowlands of eastern and central Europe. 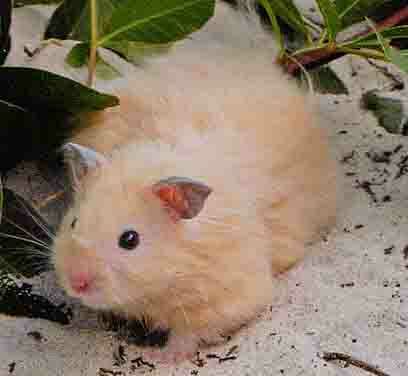 The hamster's coloring includes a white underside with a dark brown coat. The hamster's personality is aggressive and solitary. It is a burrowing hamster that naturally hibernates during the winter months (October to March). The Dzungarian hamster weights 30 to 50g. They have gray fur with a stripe down the middle and a white underside. They are small in size and originate from Siberia. The male is bigger than the female. The Dzungarian hamster is also used in research of several diseases. The hamster is tame when compared to other hamster breeds and is non-aggressive. The male will help females care for young hamster litters. The South African hamster originates from South Africa. 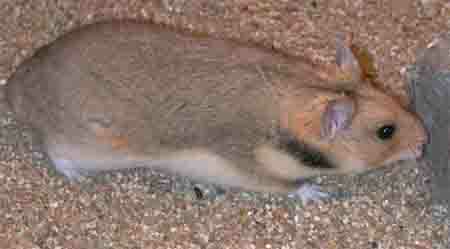 It is also called the white-tailed African rat. This hamster breed is nocturnal and slows down during the dry seasons (estivates). In a laboratory setting they will form monogamous pairs. Their coloring is gray/brown. The female weights 90g and the male wights about 145g. 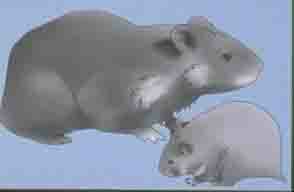 They look more like rats than hamsters and are characterized by long tails, and no cheek pouches. The South African Hamster is tame and docile, but if they aren't used to being handled, will bite. They are used in many types of research including infections, and diabetes. This hamster breed does not have a gall bladder. 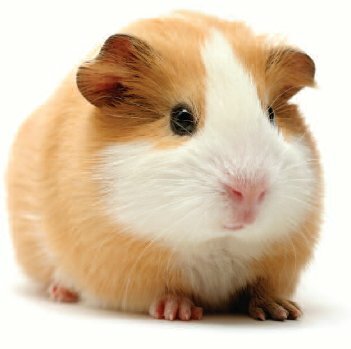 The Turkish Hamster is similar to the Syrian pet hamster. The exception is challenges in breeding. In the wild the population of Turkish Hamsters is in decline due to a decline in its natural environment in Turkey and treatment as a pest by humans. The hamster is found in semi-deserts, foothills, mountain steppes and mountain grasslands. The Turkish breed has litters that are between 4 and 20 hamster babies with 10 being the average. The hamster is pregnant for 16 to 17 days before giving birth. the breed is used for laboratory studies in hibernation. The Turkish Hamster is also compared to the Syrian for other types of research including tissue transplants, immunology, behavior and genetics. The Armenian or Gray hamster is 40g to 80g and is used in the laboratory to study genetics and oncology. 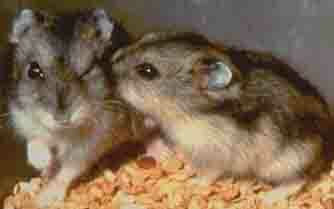 The reason is that he Armenian hamster has a diploid chromosome number of 2N = 22, which is double the normal number. This chromosome count is ideal for certain types of research.